The model has no break Mod but it does come with both SFC and SFC2 EAW/OP versions. EDIT: I forgot to tweak the RGB textures for SFC and thus the model appeared untextured in game. That's fixed now. Though TOS/SFB is my favourite era to model, I've been known to wander around, creatively speaking. This pic is a sample of an entire Fed fleet modelled after the Next Generation look. I tend to use them as X-Ships. They only have SFC2 EAW/OP compatibility. Up next is my Strange New Worlds Planetpacks. The Basic set replaces all stock Planet in SFC2 EAW/OP with planets that have faux-atmospheric effects and repositioned hardpoints, all equatorial - which allows for variable effects such as tractor beam usage for planets. The Plus pack is a lengthy list of TOS planets depicted on screen in the TOS Remastered version. I would best suggest this to be used in concert with Shipedit and FSME for customized missions in these location. They are also only SFC2 EAW/OP compatible. Should there be significant demand for SFC versions, I might consider a conversion, but that could turn into a lot of uninteresting work for yours truly ... lol. I didn't see FSME on Dynaverse FTP, so I shall also include it here. FSME allows for customized missions for the game, both SFC and SFC2 EAW, I believe. There is also a patch for this game, which is listed below. I absolutely love this program, despite the inability to create single player or Server based games. A series of mission can be created to simulate a campaign, with custom ships, bases, planets or whatever else you have in your shiplist. For me, this really opens up the playability of the games. There are several examples of SFB missions in the Captain's Mission Basic set to mod from if you lack a tactical mind .... but then again, if you lack a tactical mind, then why aren't you playing Bridge Commander or some such ... lol? For those of you not used to downloading from Google Drive, the download link is at the top of the page ... just move you mouse up there and it will appear. Cool! New planets that I don't have to do myself. You can have dozens of unique planets in normal campaign play by directing the shiplist to specific models in each section that they appear, i.e. each race and all the neutral (and possibly specialty) sections. That means that Planet 9 in Lyran space won't be the same Planet 9 in Fed space and so on. Homeworlds or other specific planets need not be touched. The UESN Starship Armarillo, as seen at the Starship Museum, highly modified by me. This is hardly canon, but then alot of my ships aren't. I have always had a fondness for the Daedalus Class and this is close to what I imagined she'd look like in a TOS time period. It seems like no Modeller can resist the lure of the Great Lady of Starfleet, and I am no exception. I originally made 3 versions of the Constitution Class Starship, reflecting various refits, but I think this one is my favourite. There will be more coming later. Welcome back I, Mudd, i always liked those colourfull glows on your ships and those planets are amazing. I'd have been here a lot sooner with the following downloads, but I caught the flu last week somehow and I was down for the count. But anyways, up first is the Insurgent Class Corvette, as depicted HERE. Up next is a fairly popular mesh of mine. 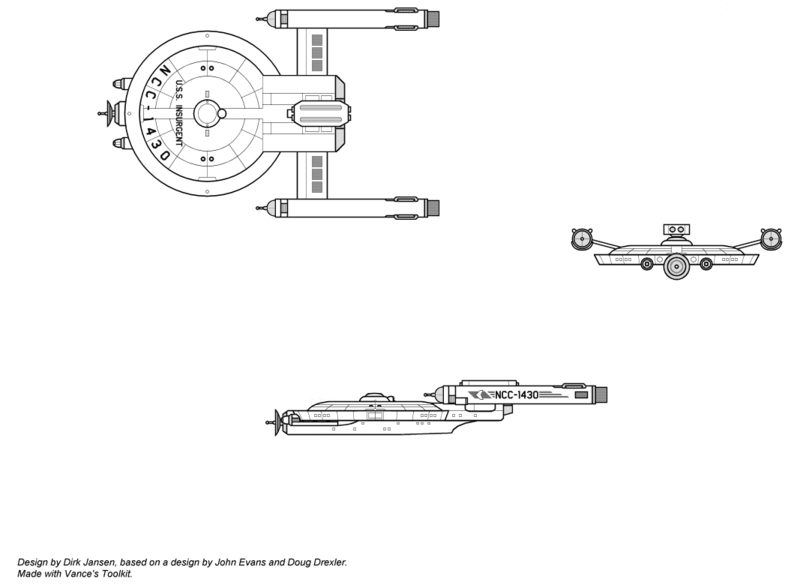 The Helena has soap bubble-like nacelles (inverted pollys is all they are) that help give it a distinctive look - along with a healthy dose of non canon details (But then, I tend to do that with everything to some degree.) But for those of you who dislike the inverted pollys, I have also included a more traditional looking alternative. That's all for now, there's plenty more a comin' ... Long Live SFC! I've always considered inverted bussard polys with that "back wall" texture to be one of the coolest ideas introduced by modelers. Makes them seem to glow even in SFC1. If aliens are real please let them know that I'm formally requesting asylum from the freakshow that is humanity." I've been preoccupied with D&D lately (it's very much a family affair, as my 10 year old son plays - and has played - since he was six ...), and given my whimsically OCD-type-nature, that's what I've been focusing on -- but fear not; I'll be back to SFC before too long! If you have a place for me to upload them to, or you want me to upload them to my Onedrive so that you can get them, I have a truckload of your meshes. Let me know if there's something that you want to grab from this list..
been too lazy to update it! Check Battleclinic! I know it's been a while, and I apologize for that. That said, I reinstalled this venerable game because I keep coming back to it for some weird reason ... It still runs on Linux Mint, OP runs fantastically - although EAW stretches a little weird and I can't find a resolution setting where it displays perfectly, but this is likely a WINE version issue that I'll get cleared up before long. Am I gonna get back to modelling? I have ideas, so this is likely. They're not particularly great ideas that'll shake the Dynaverse, but they are ideas. Speaking of modelling, does anyone have a couple a spacestations they could share with the old space hustler? The Type G and Type J from Starfleet Museum are what I'm looking for as I replenish my ship models to a visually satisfying game. I'd make'm myself, but like I said, I got other ideas. Since I've been gone, I've noticed a lot of talk about Q3 hex editing and hacking the exe ... anyone figure out how to make blue phaser fire yet? and one last thing not particularly related to SFC, but still under the umbrella of trek battle gaming. I found and installed the old FASA Star Trek Strategy and Tactical Combat Simulated game ... located HERE. I know a lot of you guys played the board game way back when. As old as this game is, it's still a lot of fun, so I thought I'd share the love by posting something about it ... It is highly customizable and I'm setting the thing up for pure TOS goodness rather than the default TMP. I imagine you're looking for models of the Type G & J and not just images. 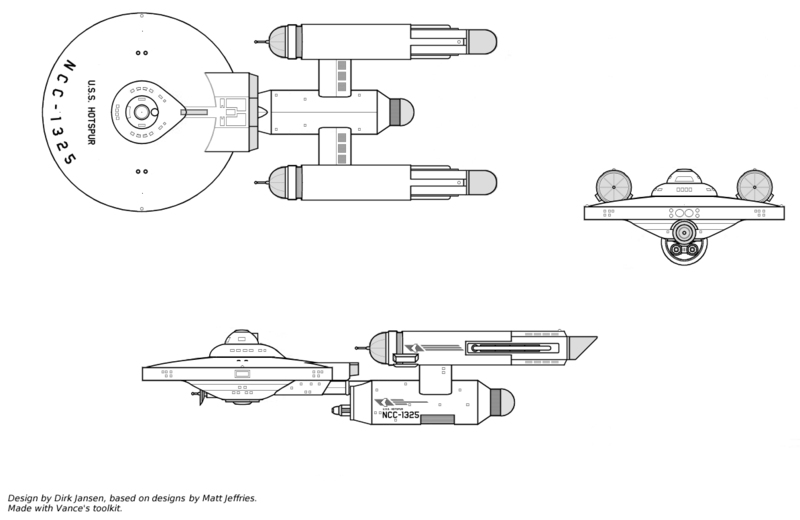 I have a SFC model of the J-class as Starbase 47, built by Wolfy/Models Please, from the Outalance site - I could send it to you. (See attached) I thought I'd seen a G class somewhere but it hasn't shown up yet, but I'll keep looking. Yeah, that's one of them. I'd greatly appreciate having a copy ... How do you wanna send it? The FASA game is like SFB Junior and you could houserule the board game to be closer to SFB rules if you wanted to ... we did by adding fighters( like 3 to a hex piece), Transporter Bombs, and boarding actions. Have you tried the unoffical HD patch for EAW? These days people can set resolutions up to 1920x1200 without any problems. About the sprites.q3, it is not really hex editing. There is an actual editor for 2 years now, that allows a lot of things. In SFC 2 OP, for example, hundreds of assets were added or modified. Phasers of all sort of colors are also available. But it is something a bit out of my area. Have you read about the "model browser" ? I've been updating it lately. It opens all the SFC1, SFC2 and SFC3 models without any problem (bmp or pcx), and allows you to export\import any model to\from *.OBJ format, that is at reach of any modern modelling program. It also allows a person to scan any models for problems like missing texture files, unused materials, and so on. Glad you popped up ...Seems I can't get a hold of your ModelViewerHD through that threads link ... Do you have a new link? It is not the ModelViewerHD... It is something better. You can download the latest version (1.0.5.1) here. are there any specific windows components necessary for the model browser to work under WINE on Linux Mint? It doesn't seem to be cooperating with me ... lol. Any luck making it run? I know just enough about this kinda stuff to be dangerous to my OS, and I know when to stop experimenting. As is, I have all the progs running I really need to build models and play games ...wish I could give your program a run, but not going to break what I have to do it. asking for a friend - what level difficulty is it o get SFC going under WINE, low, medium, or oh gods what I have wrought? And does it multiplay? Actually I did very little to wine 3.0; it's adjusting the SFC.ini to make it run in a playable state that's the trick ... Higher screen resolutions cause it to crash, but I'm content with 1024x768, so that's not a deal breaker for me. I also run Wine as emulating a virtual desktop, which helped a lot, thus the game runs in a window way better than any sfc.ini setting. Still looking for a Class G Space Station model from Starfleet Museum ... anyone? You are creating a model pack for that game you talked about? Or OP? I'm taking a page or 6 from The Starfleet Museum ... I've always had a soft spot for those designs ... And I'll be working on OP and STSTCS ... Just started modelling again this morning - I'd work on it more but I gotta run D&D at our FLGS tonight and I need some prep time. While modelling this morning, it occurred to me there aren't many of us left here in Dyna-land.What about the member or guest visitor who'd love to pick up SFC modelling ... but just doesn't know where to start? Start here, by downloading GMAX. Then, download this (NIF Tools) and install it in your GMAX Folder.... Google Drive flags it as suspicious, but I've NEVER had a problem with it. Now, one more download and you're almost there, the SFC plugins ...install them in your plugins folder. In order to run GMAX properly now, you'll need to use the nifgmax.exe in order to use the SFC plugins. Now you're almost ready to fire this bad boy up, but upon doing so you'll be asked to register the program .... but the original license page is no more ... what to do? well, go here and get your code. Now you should be all set to begin futzing around in Gmax and be able to import/export SFC models. Ah more of Mudd's ships to add to my SFC 1 ship library, which has, so far, over 200 models in it. I've taken a break from modelling starships..... too busy building and fixing motorcycles. Then there's my flying antics playing IL-2 Stormovik "Battle of Stalingrad" flying with the 1st Combined Air Group clan taking up spare time in the evenings. Haven't created anything new for a while as the problem is having that moment of inspiration for a new model. I've been playing the game recently though and I still enjoy creating mission scripts and playing the missions. Kind of tempted to duplicate the stock Klingon and Lyran mission scripts BUT have the enemy as the Kzinti, then switch them into the campaign line up. I still enjoy creating mission scripts and playing the missions. Have you read about the map editor i released some time ago? It works with all SFC versions and scripts! I also started writing a mission editor yesterday for SFC2OP singleplayer missions. You can check the progress here if you curious about it. It will be something never seen before. It doesn't require any compiler. It will be a standalone windows application. Eagle Eye Software's FMSE only allows 30 x 30 maps so anything that allows a bigger area is welcome. They do applogise for this limitation. The victory conditions facility and hailing messages components also don't function despite being scripted into scenarios, so other than the briefing message, I don't bother with these. FMSE also only does SFC 1 and SFC 2 mission scripts. Oddly enough it lists the Mirak (Kzinti) and ISC for SFC 1 missions, despite neither being released in the stock SFC 1 game. I've added the Kzinti and ISC into my SFC 1, along with the Tholians, Cardassians, Dominion, Pakleds, Borg, etc. to add more scenario material. Mudd's models take up a part of the model folder. Well the alternative script editor is downloaded and we'll see how it goes. the gmax file has a trojan in it. but it does install, my malware program caught one but I don't know if I'm safe lol frakin hackers and neither turbo squid or the nif link works cant register it . Page created in 0.846 seconds with 31 queries.